Well, like they say,Expect the unexpected. I Learnt that quite right on my trip. Getting to the station, it was filled and rowdy with all sorts of people and luggages.Mainly fellow corpers, students, and traders. Everything from this moment was a hassle. The train did not arrive until about 12:30 am. 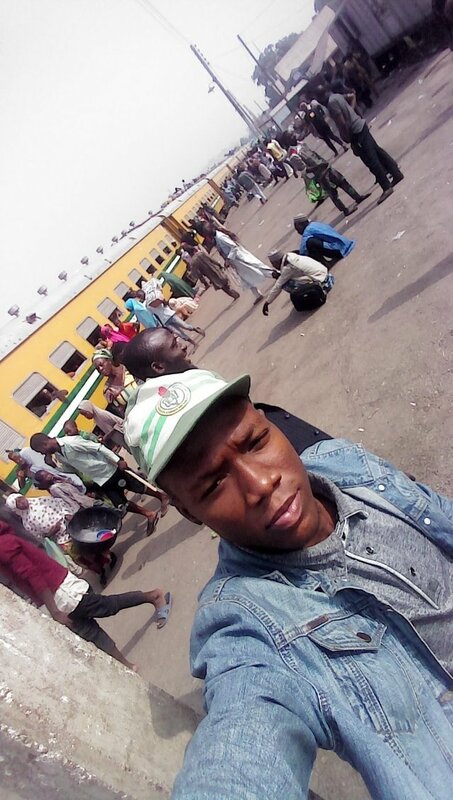 Which means I spent almost 9 hours at the station, waiting for the the only train available for the journey from #Lagos to #Kano. 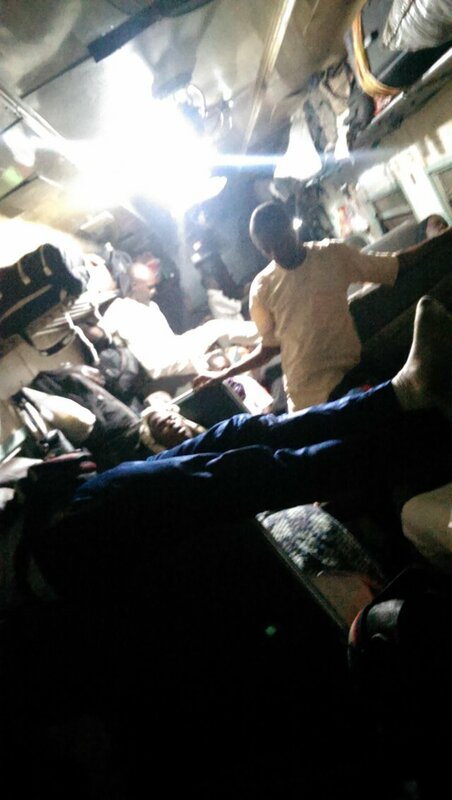 I got in with quite a struggle, and to everyone's surprise, the train was almost full as at when it got to our station in #Ibadan. I had to stand all through till we got to #Offa in Kwara state. That is to say I had to stand for close to about 9 hours only sitting on a passengers luggage at intermediate periods to rest my aching legs.. I thought my legs would come off and stop supporting me☺. But thank God they didn't. My coach was fun to be in. Saw a whole lot and learnt certain things too. Met with peeps from different places heading to various destinations for various reasons. I believe, we meet everyone in life for a reason. No body should be looked down upon cos life is all about change. And every experience you pass through, you should learn from it. Some of the interesting things that happened in my coach include : Two ladies who started off as enemies after they both got into a physical fight earlier on our way out of the station in ibadan later became friends and got talking, we sang, cracked jokes, discussed certain topics and danced in my coach. The train passed through a lot of cities and towns and various places of geographical importance in the country. We passed over #River_Niger, various dams and through valleys of different hills in #Kaduna. We also had stops at a lot of stations along the rail route.Which to me, took unnecessarily too long and made the journey longer. 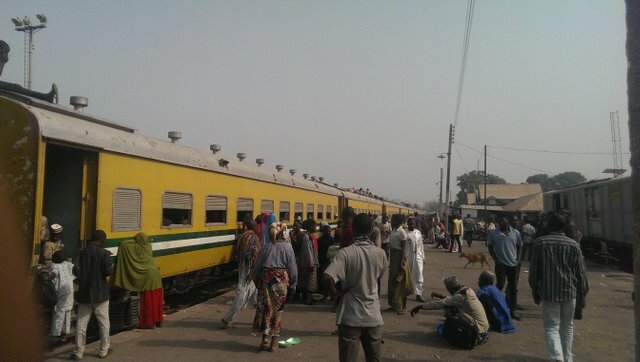 The beautifully painted and sparsely decorated train station in #Osogbo, being one to remember always. I remember spending almost 12 hours passing through #Niger_state as a whole. It's quite a big state I agree. Lest I forget, an old woman died in #Kaduna_city on our way and we had to drop her body off in #Zaria, which was her destination. This proved to me that #death can come at anytime and I believe we should be prepared. Do your best, live life the best way you think it right to live and be happy. 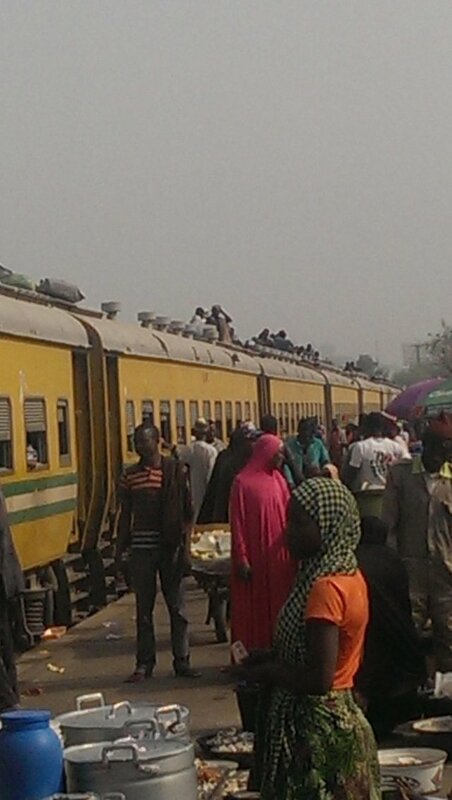 We got to Kano 3 days after my departure from ibadan. And I got into settling in over here in my little village of #Wudil. I had to sleep in almost through the whole of the following day.. I was pretty exhausted and I even caught a cold. The journey was a stressful one as a whole but I enjoyed it also hence the weird part of my tittle.I remember the train was full, people had to sit on top of the train! How crazy does that sound? But trust me, They did! Nigeria has a long way to go in development. The train was not in a good condition, and they kept on selling tickets at various stations knowing quite well the train was full which led to an #over_population situation. The government make at least enough #revenue from the railway, yet they don't maintain the system well and provide effecient services. In this century of vast improvement in #science and technology, we really shouldn't be in the current position of stagnation that we find ourselves in . I'm not sure I'm interested in taking such a ride again but at least, I know what it feels like to travel long distance by rail. I only wished it was in better conditions.. But it was one ride and experience I will never forget in many years to come. I can only pray and hope things get better in this country of ours..